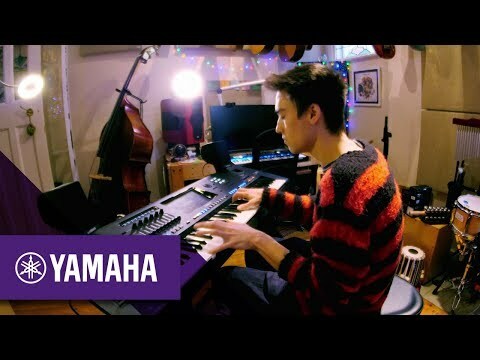 The Yamaha Genos Digital Workstation gives you creative power like never before. This next generation digital instrument gives you fast access to a huge 1700 voice strong sound pallet generated by Yamaha's powerful AWM sound engine. Add to this real-time controls, 60 gigabytes of solid state memory, built-in WiFi, masses of connectivity and more, and you get what is undoubtedly one of the most powerful arranger workstations around. Genos allows you to access the sounds and functions you need quickly and without distraction. Important information is shown on the stunning LCD colour touch screen and it doubles up with the ability for you to glide through the huge voice and style library with ease as well as performing many other key functions without the need to scroll through endless menu's. WiFi is also built in making the Genos compatible with Yamaha's Songbook+ app allowing two-way connection for live performance and music data organisation so that you have all of your preset song data to hand.